SJ Holden Helps Beat Box Tree Moth | The Decor Cafe | Interiors. Gardens. Lifestyle. Home business. The Box Tree Moth has decimated gardens across SW London, swooping in and destroying box hedges seemingly overnight. 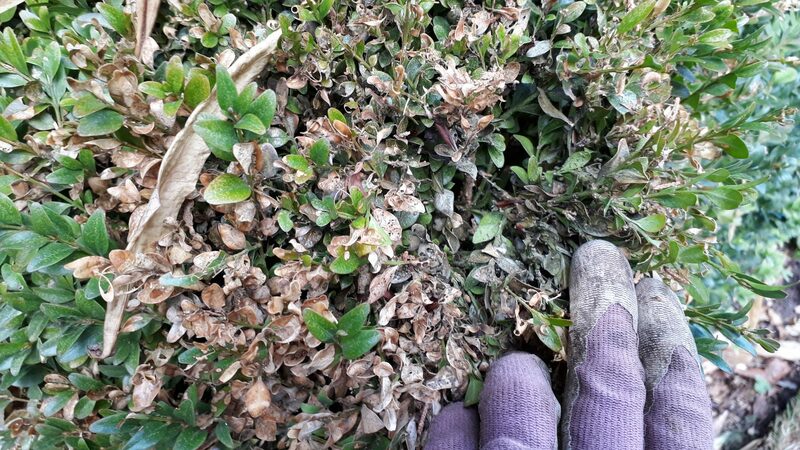 SJ Holden has a beautiful garden in Wimbledon and when she heard what was happening to gardens in Putney she determined to fight the box tree moth in Wimbledon. This is her story and helpful advice. In late summer 2017 my Wimbledon neighbour mentioned that her friends in Putney, her former life, had come back from holiday to discover their entire garden of box had been reduced to brown dead sticks – not what their garden designer envisaged for their low maintenance but architectural garden. I had heard that there was a grub about that had started to defoliate box plants in gardens in the south of London. It had no natural predators and had come from Asia somewhere (China I have subsequently learnt). I couldn’t wait to get back to my garden to check as I was off to Australia the next day and if the box disappeared in my garden it would be a very, very, bad thing. Panic. Little black and green grubs everywhere. I picked off a few and immediately drove down the A3 to RHS Wisley for some face to face advice. I didn’t want any politically correct, useless, time wasting advice over the phone at this juncture. This was an emergency. As luck would have it, at the Member’s Help Desk, there was a sensible person who advised PY by Vitax. They stocked it and I could buy it in their shop but they did not generally advise to use it because though it was not a neonicotinoid it was a Pyrethroid and research had shown that Pyrethroids were also a serious threat to bees, impairing their behaviour, learning, foraging, fecundity and general development. Could there be anything more to affect I asked myself? With a deep breath I bought it, along with a 5l spray can, and rushed back to spend late into the night spraying everything Box in the garden except the plants that surrounded the koi pond. I had to draw the line at threatening the fish. The bees were well and truly in bed, I hoped. Having averted a major personal disaster, I then spent my holiday searching the internet for an organic option and or replacement plants. Bee health is an indicator of world health and I wasn’t going to contribute one more spray to their decline. As luck would have it our German friends had said it had been in Germany for years and was devastating the wild box …. Omg. So using google translate the search went on until bingo I found something organic that was being sponsored by the box tree growers in Holland. XenTari by TopBuxus. If they thought it worked then this could be the saviour. For the first time ever I ordered something on Amazon … slick pernicious Amazon. So with XenTari and several other treatments I had an arsenal to defend my plants in the spring. The moth flies about between March and October. 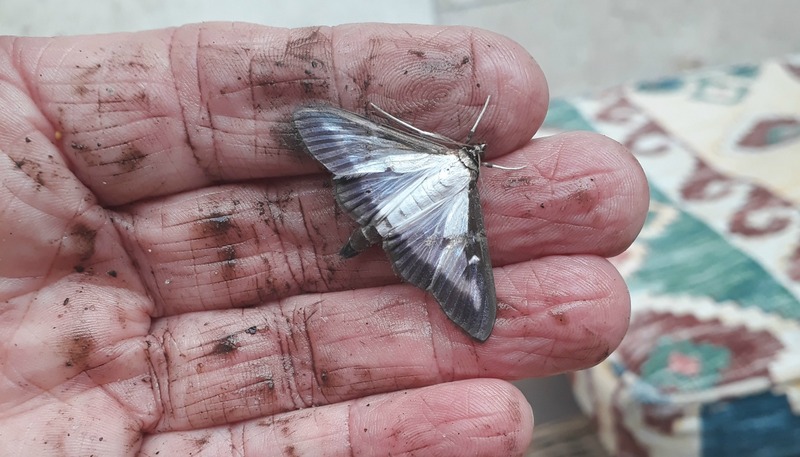 Hoping that the severest winter weather for many years would have knocked the socks off the moth I was horrified to do a random check to see they were hatching and chomping away and they were everywhere. They survive weather down to -30C! The things I have learnt. I sectioned up the garden and tested 3 treatments in 3 different areas using XenTari around the Koi Pond as those plants had not been sprayed at all in the autumn. 2 days later no grubs on the Koi Pond box and the odd one here and there on the other 2 sections. It looked like XenTari might be the stuff. I also bought x2 pheromone traps that attract the male moth and hence interrupt the cycle of life there. A 2-pronged attack was underway. I was beginning to think the pheromone trap was a whole lot of nothing until in May I looked and the jar was half full of dead and fluttering moths. Wow. Then that works too. I have now succesfully settled down to a 2-pronged treatment; XenTari spray (amazon) and the pheromone Buxatrap male moth trap (RHS Wisley shop). I have the 5ltr spray can primed and ready to treat any plant. By the way XenTari works by starving the grub to death. The grub doesn’t like the taste, stops eating and starves to death. Lovely, eh! Poetry even! The future? Well, the initial infestation in Putney and elsewhere in 2016 & 2017 were completely uninhibited and so had free range on all the plants they infested causing widespread devastation. Now with a suitable organic defence it can be knocked back into it’s box (haha). If the conscientious and keen box grower pursues with this type of approach I don’t think it will wreck the devastation that it has. But for the uninitiated and the unsuspecting, because it is spreading (the moth can fly 10km a year), it will and be an issue for box growers everywhere. The moth has a lovely aquamarine sheen on its wings. An infected plant quickly turns brown and the stripped leaves are covered in the web made by the moth containing mini poo pellets, and the grubs emerge. Click here to purchase XenTari on amazon. Note: XenTari is not registered for domestic use in the UK. It can be purchased online as is available for use by professionals. It’s organic. Also, note that I do not otherwise purchase from Amazon. The BuxaTrap can be purchased from RHS Wisley Shop or online from Tesco. Click here. Have just come across your brilliant and informative article. I completely agree with everything you say as we too have been fighting the dreaded Box Moth for the past couple of years. 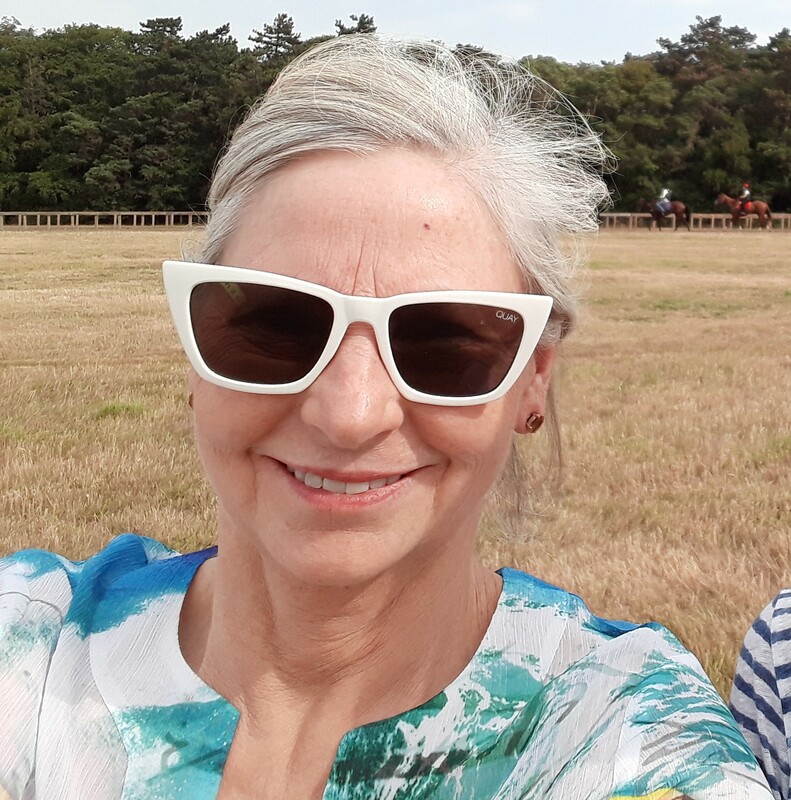 My husband did loads of research and is using the same methods as you with great success so far, just takes a bit of dedication and tenacity! We live in Kew ( very close to the gardens) and so many of our neighbours have lost a huge amount of established Box or decided that it’s not worth the fight and have dug it up ( quite understandable!) We and our four neighbours open our gardens for the NGS each year so for us the scrutiny of a few hundred visitors adds to the pressure! However, this is also a good way to share the information and hopefully more people will use the above methods. Anyway, thanks for the info and good luck with the little blighters this season!